How perfect is that tier of tea-time treats? 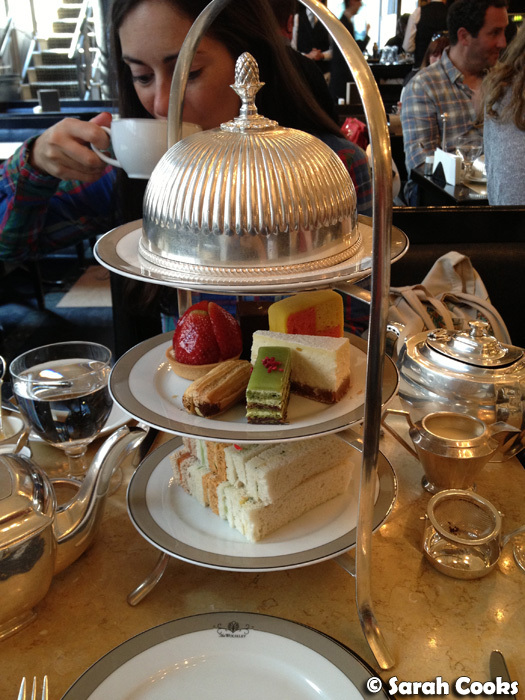 It was with that delightful afternoon tea that we finished our weekend in London. 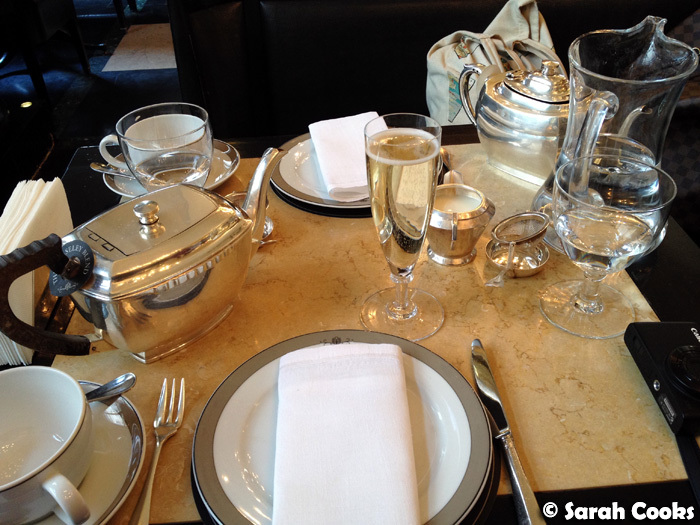 I must admit I hadn't heard of The Wolseley before this trip, but when my friend Clarice suggested "a proper high tea at The Wolseley (Nigella's fave!)" in our pre-trip emails, I was totally down! I made a booking online for the Sunday afternoon, thinking that it would be a nice way to round off the weekend before catching the Eurostar back to Paris. Due to the timing, we actually had to go to the train station directly from The Wolseley, and rocked up with our coats, mini-suitcases and shopping bags (including lots of great stuff from a mad-dash through nearby Fortnum and Mason just beforehand). We'd been worried that this might cause an issue, but the staff very kindly put all our bags in the cloakroom for us when we arrived, and we were free to relax and enjoy the afternoon. For some reason I had been expecting a very old-fashioned, twee setting, so was suitably impressed by the beautiful, expansive art deco space. 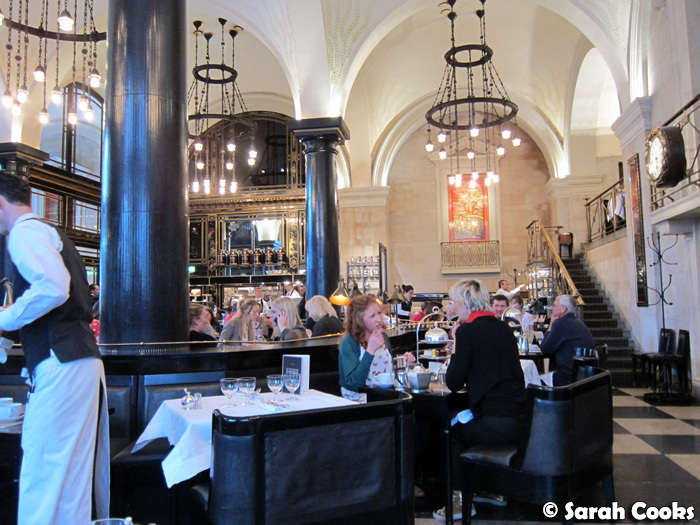 The Wolseley serve breakfast, lunch, dinner and more - there was an American lady at a table near us, who refreshed herself with a Cosmopolitan while her young grandson, dressed in a smart blue blazer, ate chips out of a silver bucket - too cute! And we also saw plates of choucroute garnie being ferried around by waiters, which looked and smelled amazing. However, we were most certainly there for afternoon tea! Their Full Afternoon Tea is priced at £22.50, which gets you a pot of tea, and a tier of fruit scones, cakes and sandwiches, all made in-house. (See the picture at the top of this post). I splashed out and got a glass of champagne for an extra £10. I loved the teapots and the pretty silver accessories! Of course, when you have scones, you must have cream and jam. 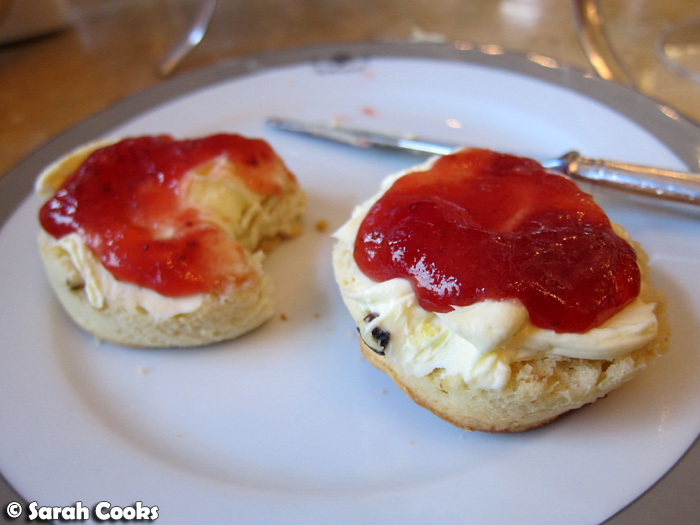 Here, it was an indulgently thick clotted cream, and a luscious, very softly set, strawberry jam. I just had to take a picture and show you how thick the cream was. Heaven. We started from the bottom up, saving the best for last. 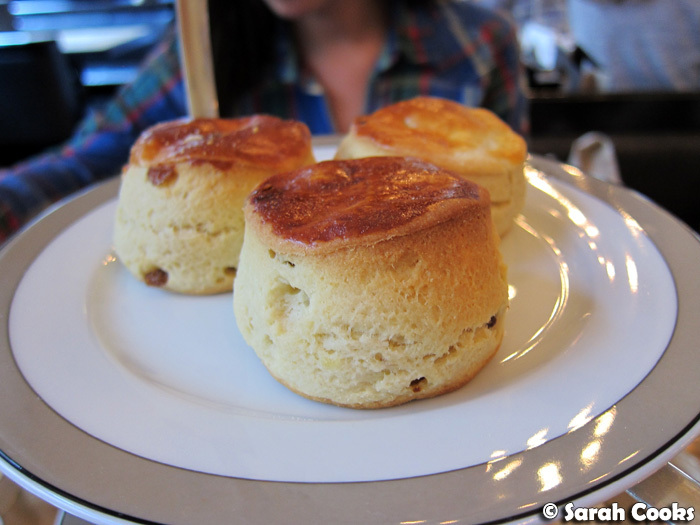 The scones were kept warm under the pretty silver cloche - a great idea. Before I took the photo, my first instinct was to remove that little piece of red paper that was stuck on it, but then I thought that it would be better to present the experience "warts and all". (Not that a tiny red bit of paper is a "wart" by any means, but I'm sure you catch my drift). From memory, the sandwiches on offer that day were: cucumber (naturally), smoked salmon and cream cheese, chicken and pesto, egg, and celery. Normally I don't like raw celery, but here it was sliced so finely that I actually enjoyed it! The sandwiches were all exceedingly fresh, with lovely soft bread. And finally (yes, we were getting full, but we persevered) we indulged in the scones. I found it interesting that they only served fruit scones and no plain ones, but given that I prefer fruit ones anyway, I wasn't complaining. The judicious use of dried fruit here ensured that you got a hint of sweet dried fruit, without it becoming overpowering. (Clarice, who loathes puddings based on dried fruit, like mince pies and Christmas cake, still liked these). You can see how perfect they look (aah, if only my scones had such smooth tops and were so uniform in shape! ), and happily they tasted just as good. Warm, fluffy innards, with crisp, almost biscuity exteriors. I loved them. And that's the last post for this London weekend! 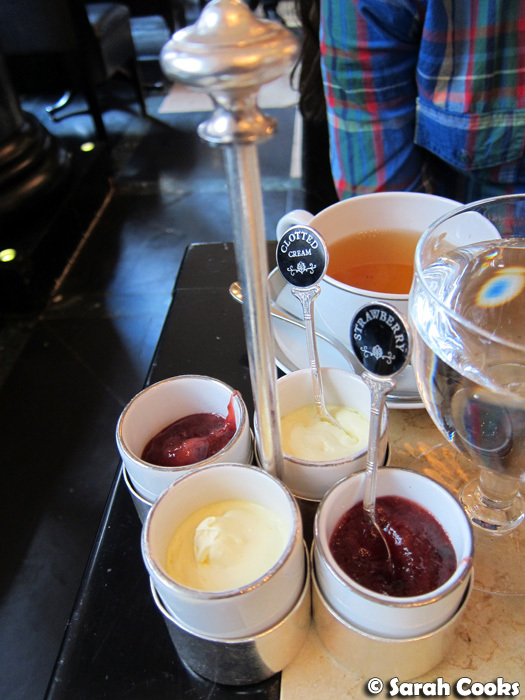 After this delicious tea, we took the Eurostar back to Paris, where more culinary adventures ensued. Can't wait to share them with you! I hope you enjoyed by posts about London; here they are in a list! Cheesecake is my lactard weakness, so SWOON. Also, that cream is like butter. Double swoon. So very classy! And I'm the same with taking photos of plated food - I try not to touch or move anything. 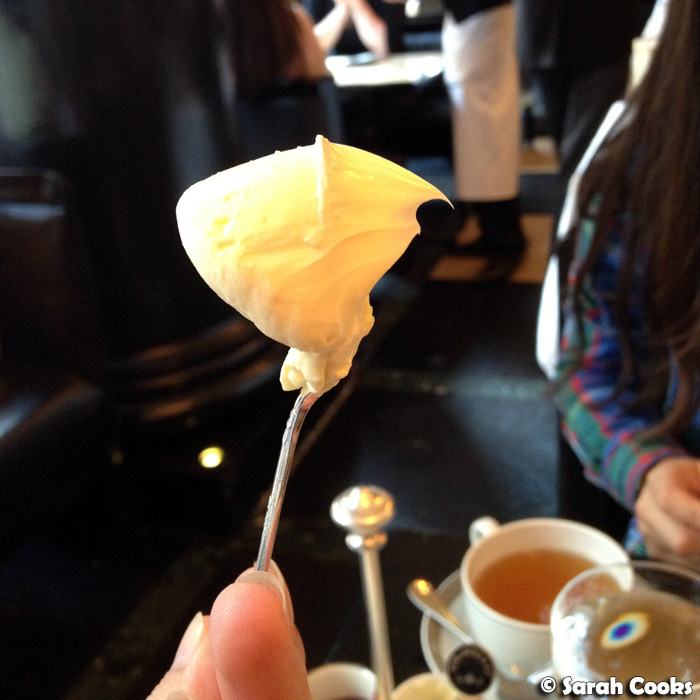 I really miss clotted cream! How wonderful! 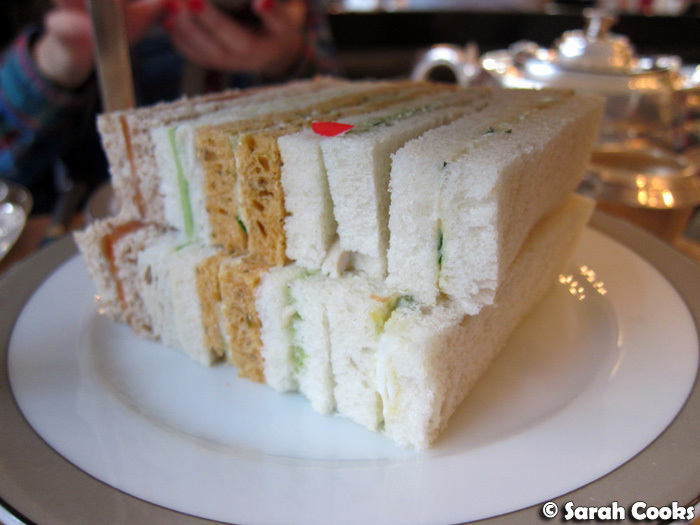 The best high tea I've had was the Mandarin Oriental in Hong Kong - you just can't beat the teas at these high-end hotels! Jealousy knows no bounds.. I love a good proper high tea and this looks magnifique! What a classic way to finish a London trip I love it. 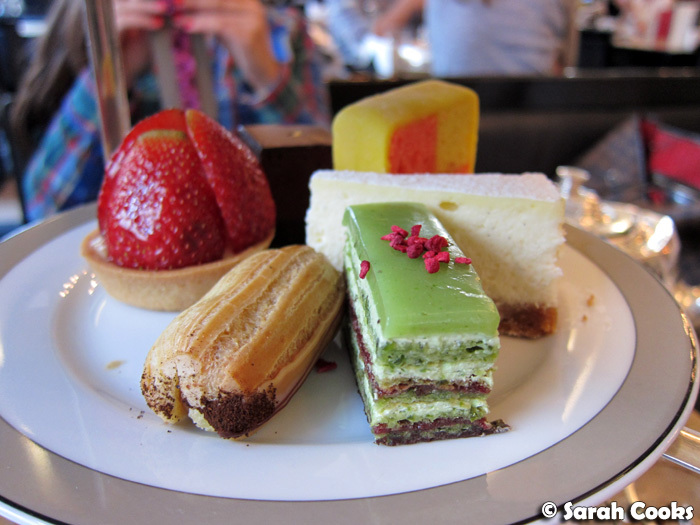 The afternoon teas in London are amazing!